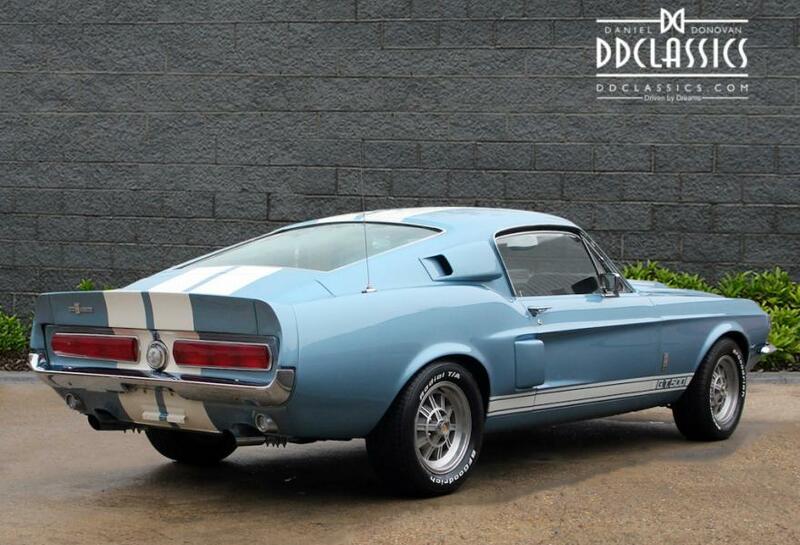 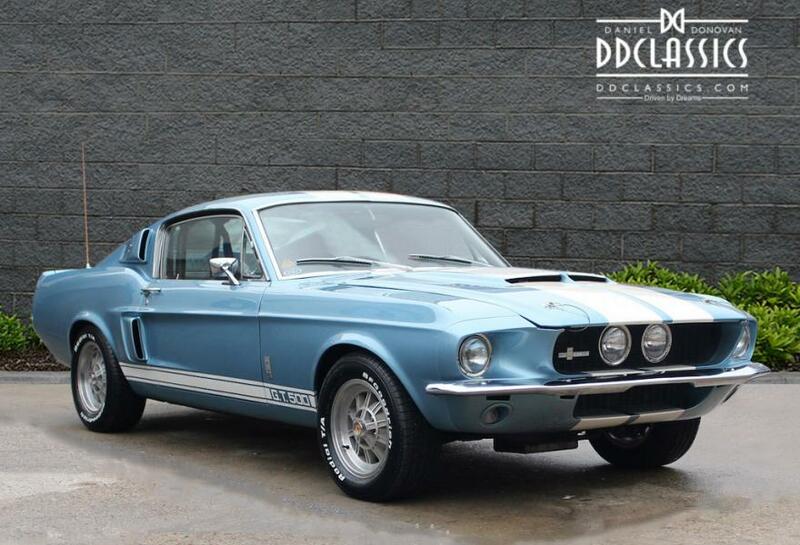 "Whether you want to add to a collection, or are looking for a superb road runner, this stunning, matching numbers Shelby GT 500 will tick all the boxes." 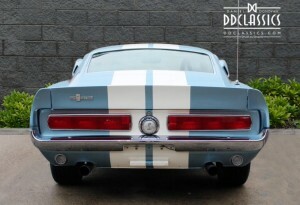 Regarded by many as the ultimate American muscle car, the Shelby GT500 is a piece of automotive history that is synonymous with power and style. 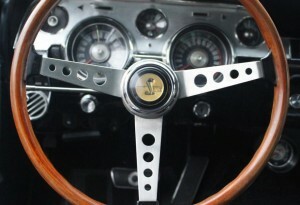 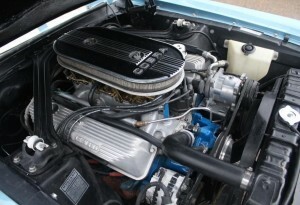 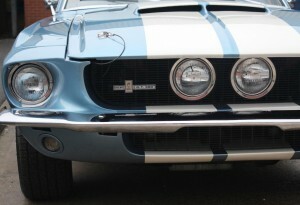 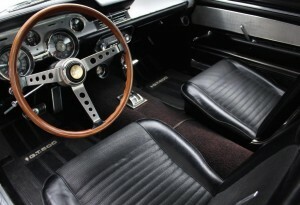 Legendary Texan racing driver Carroll Shelby’s team had been using Ford’s Mustang with considerable success in North America, winning the SCCA’s B-Production title three years running in the mid-1960s. 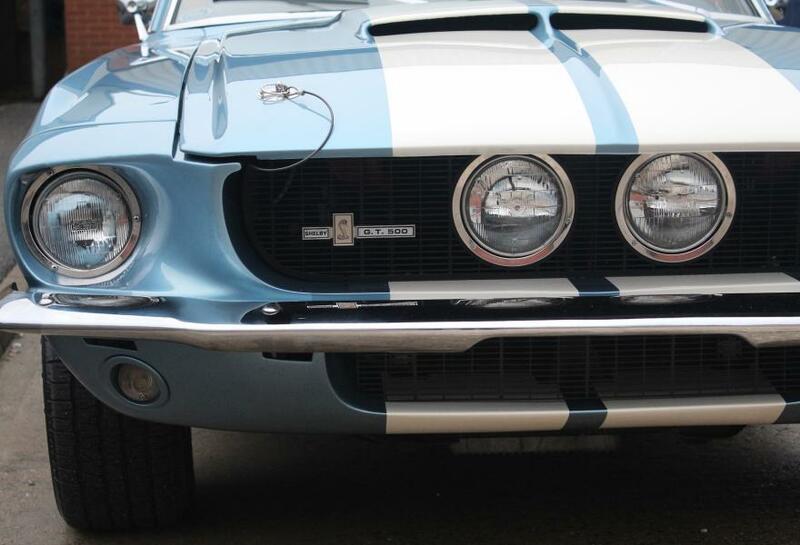 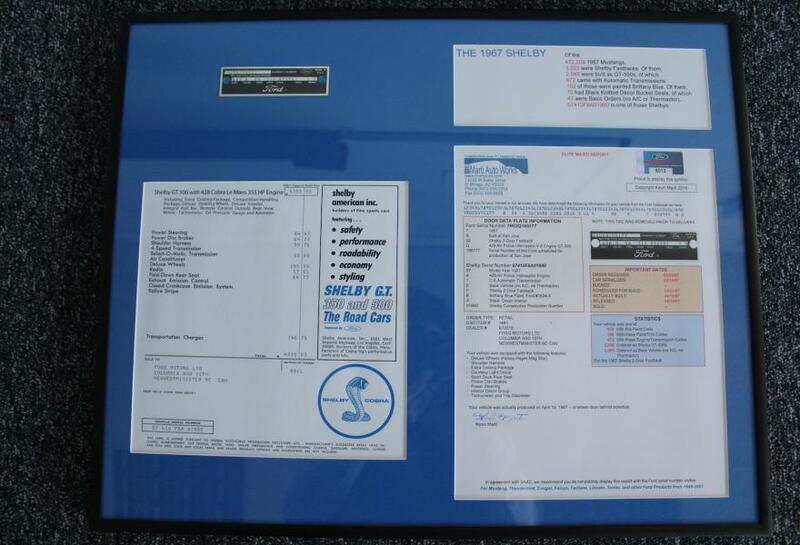 Capitalising on his success, Shelby began manufacturing modified Mustangs, which were officially sanctioned and sold through selected Ford dealerships. 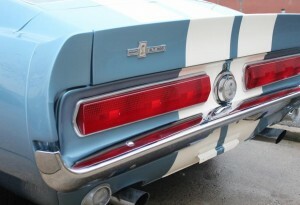 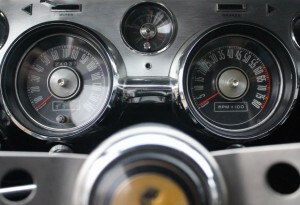 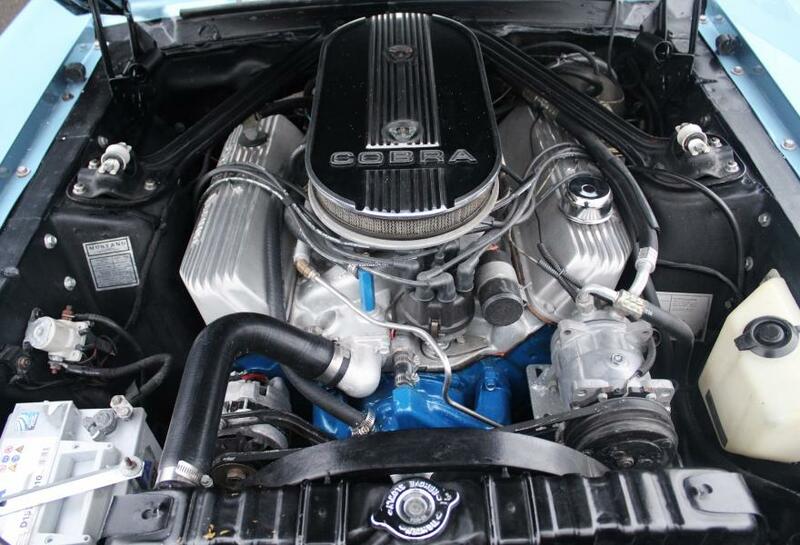 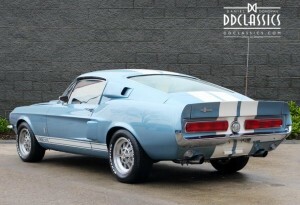 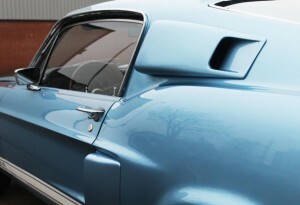 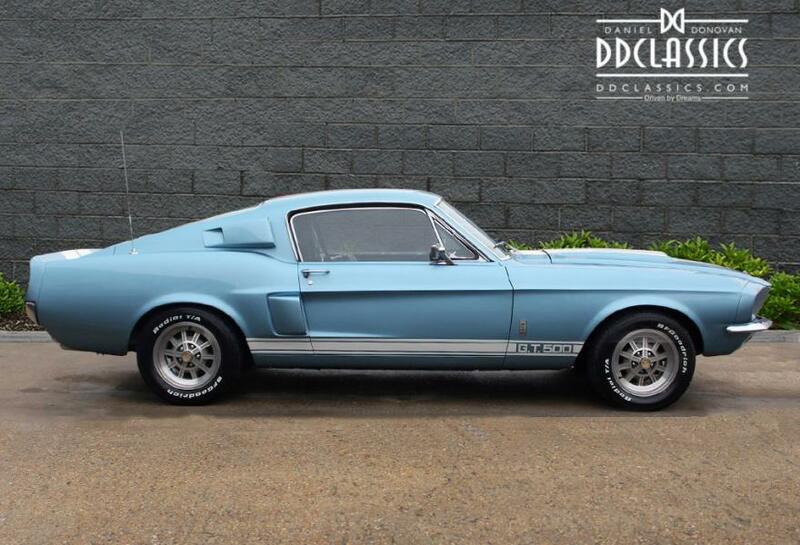 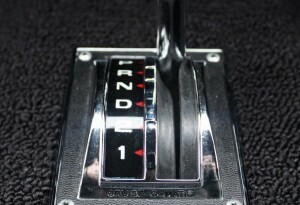 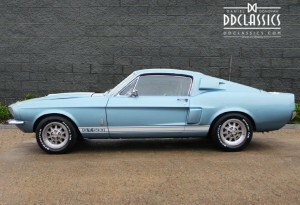 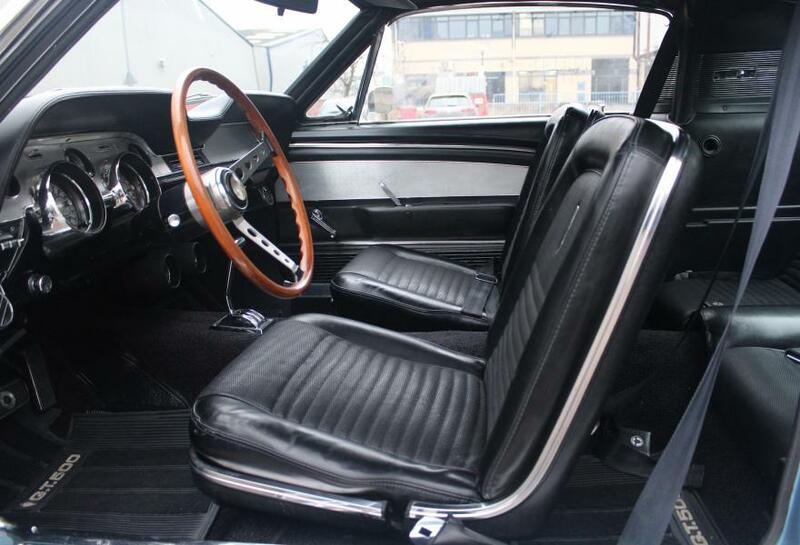 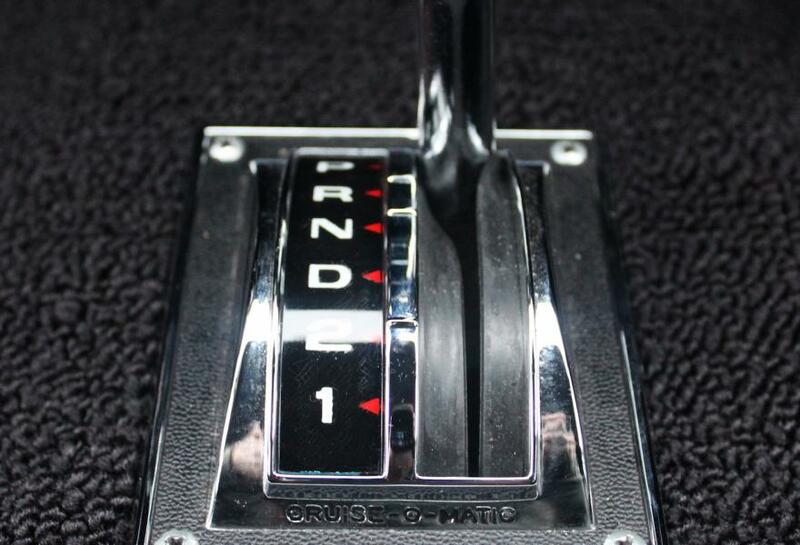 Our 1967 Shelby 2-door fastback was built in San Jose on the 19/04/1967 and was 1 of only 2,046 ordered as GT-500s. 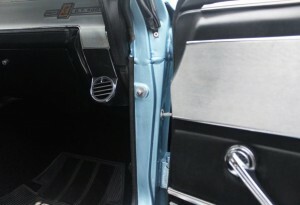 Accompanying the vehicle is an Elite Marti Report, from Marti Auto Works which outlines the original specification of the car. 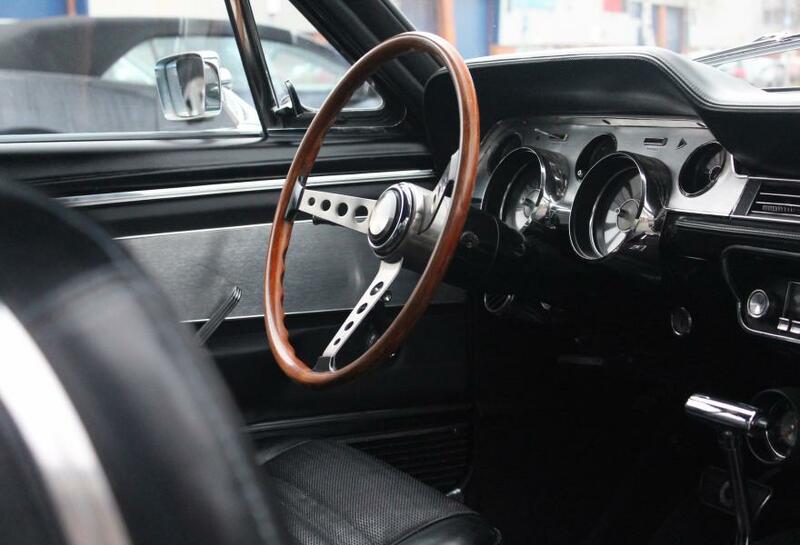 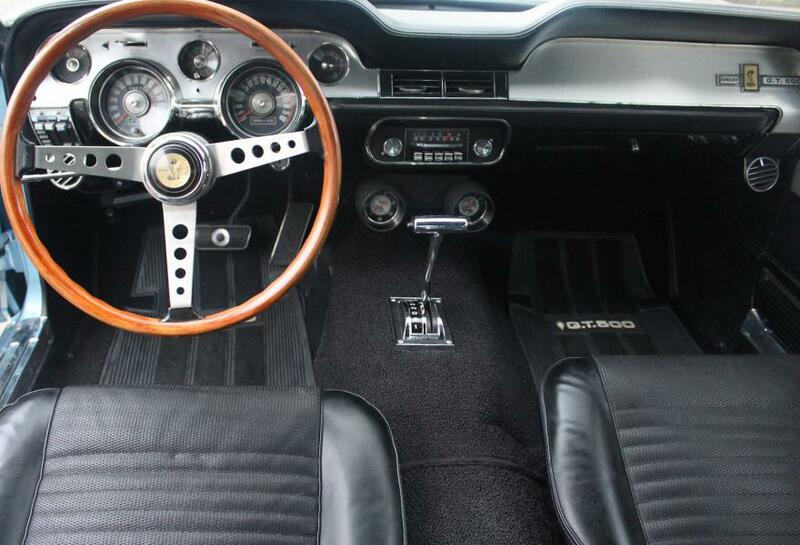 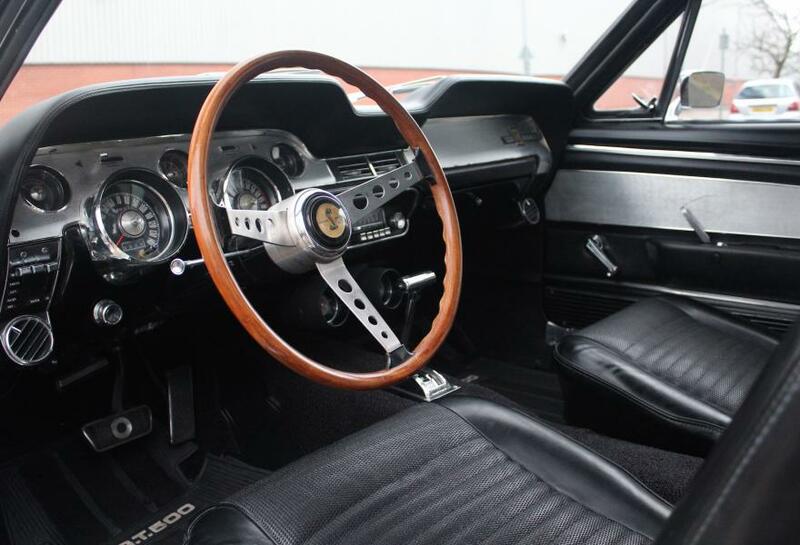 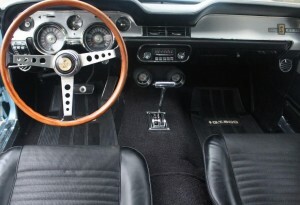 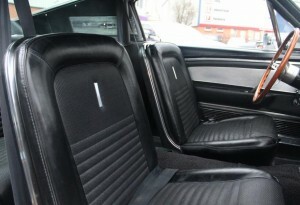 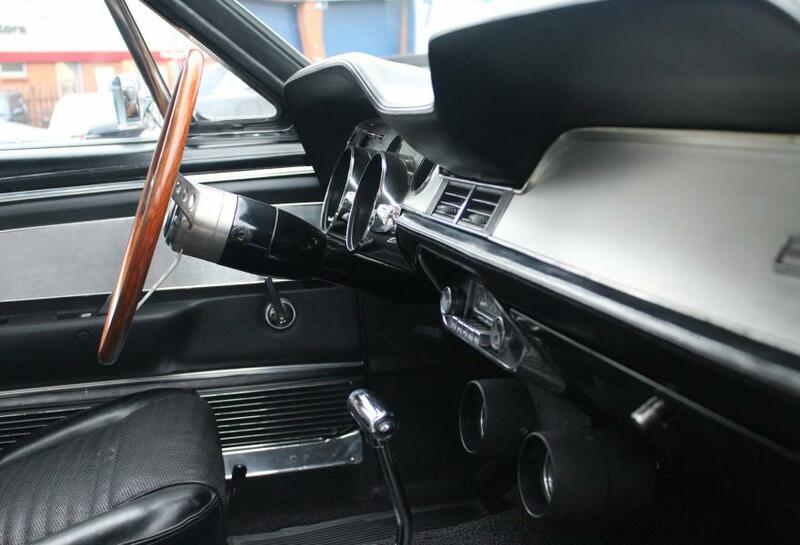 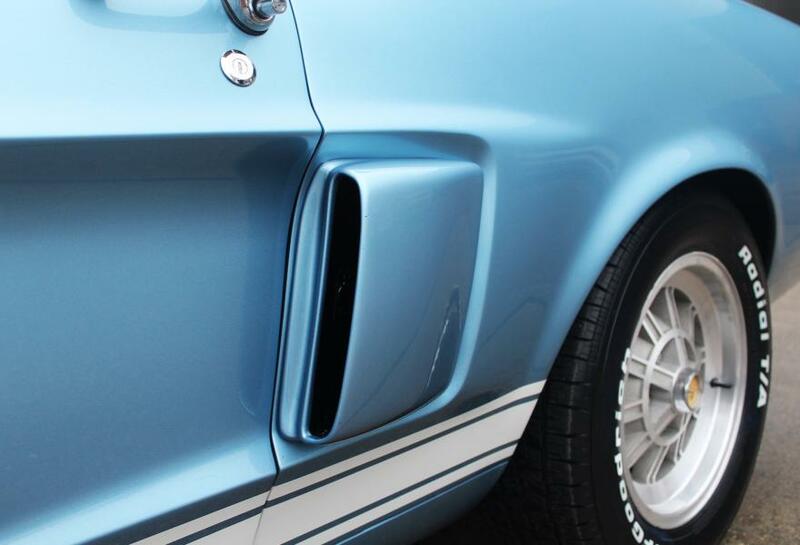 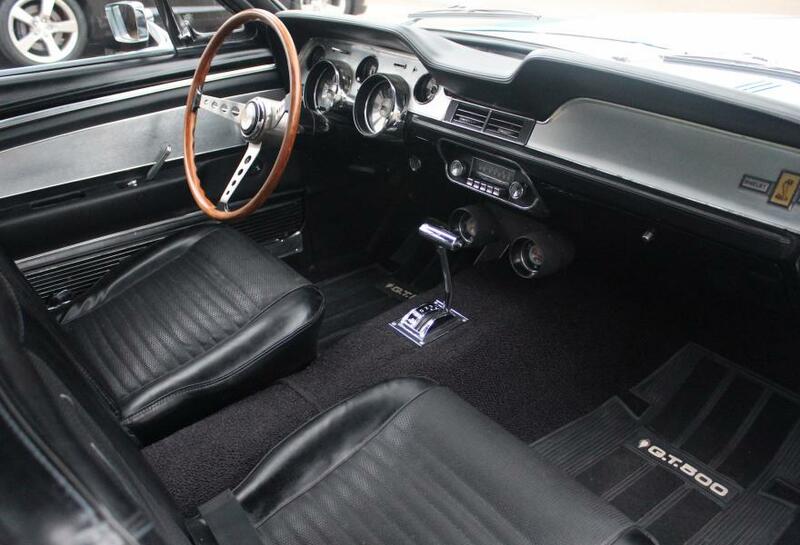 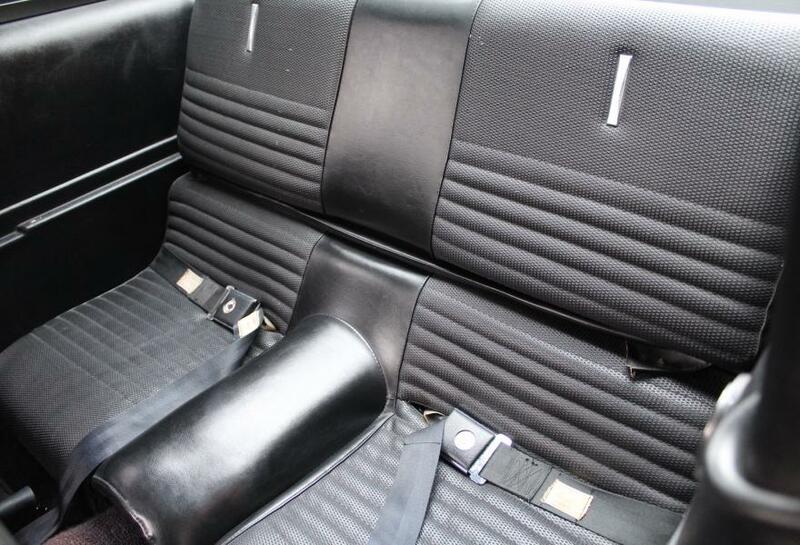 Our GT500 Mustang was equipped with the following features; deluxe wheels (Kelsey-Hayes Mag Star), extra cooling package, courtesy light group, sport deck rear seat, power disc brakes, power steering and Black decor interior. The Shelby Mustang GT 500 for sale at DD Classics is powered by an automatic, 355bhp Police Interceptor V8 engine that works on the button, according to the Marti Report it is 1 of only 672 built with this engine/transmission specification. 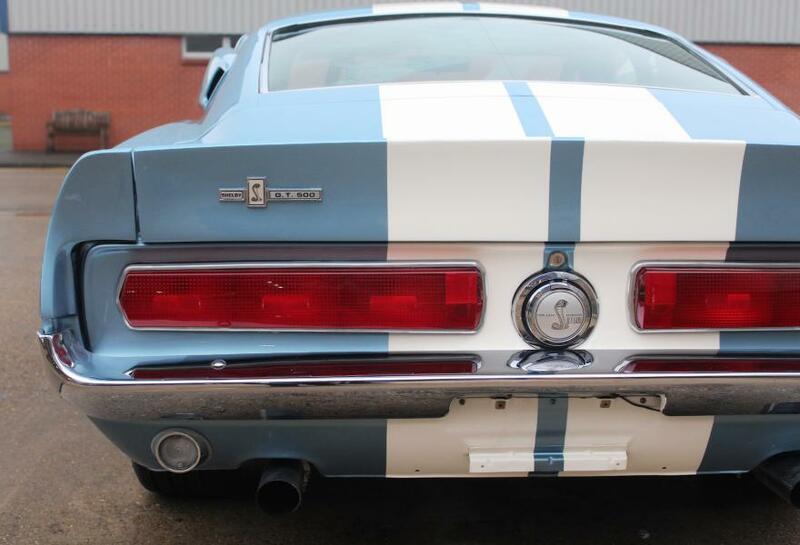 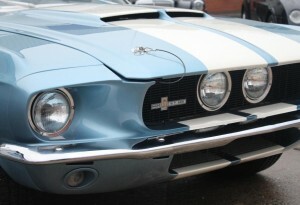 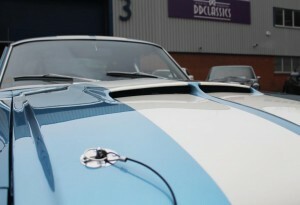 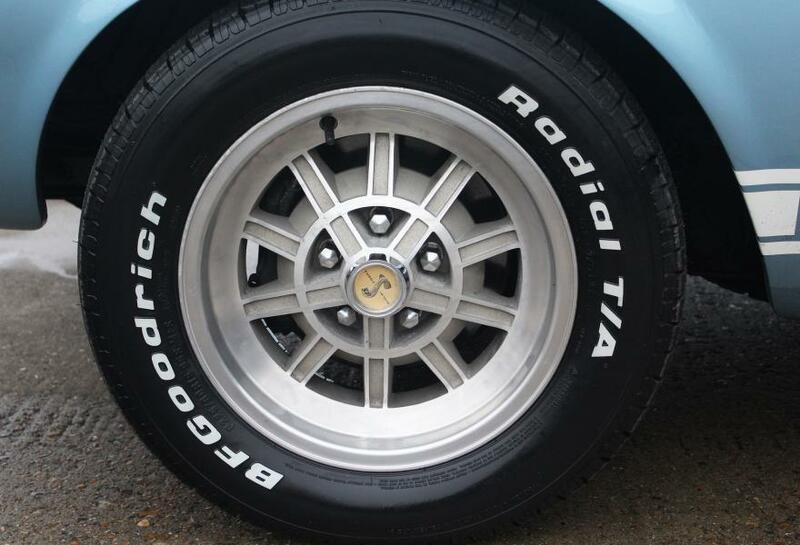 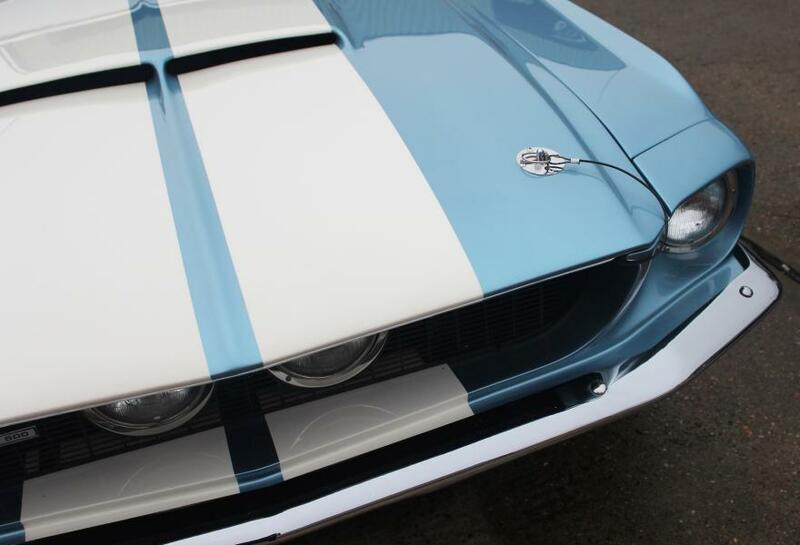 Whether you want to add to a collection, or are looking for a superb road runner, the GT 500 will tick all the boxes. 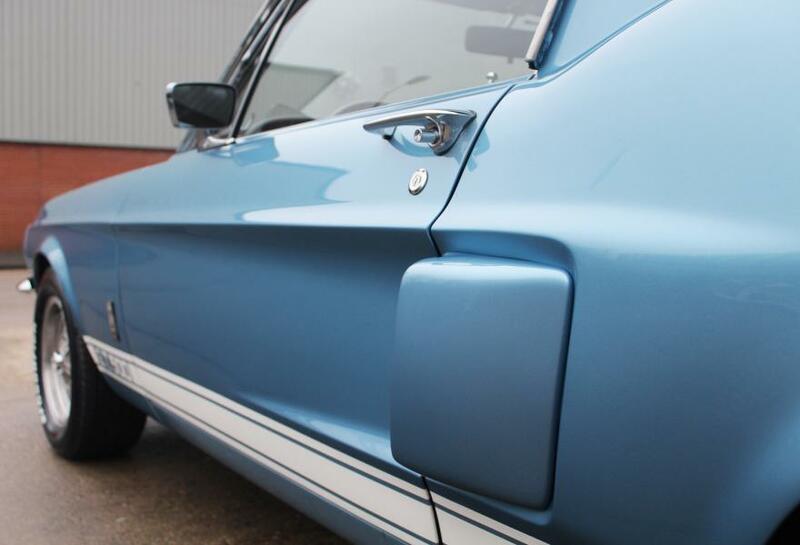 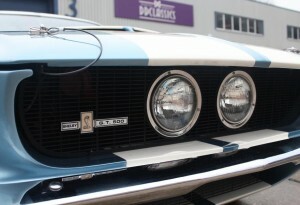 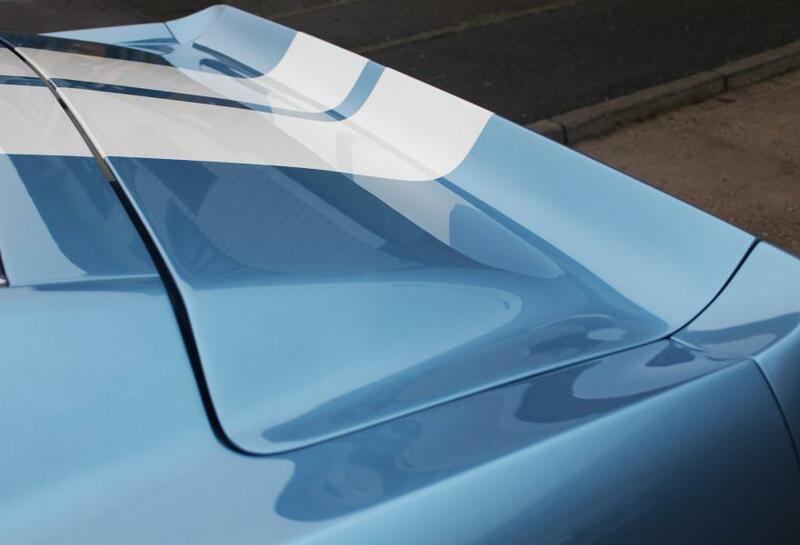 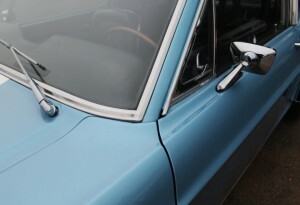 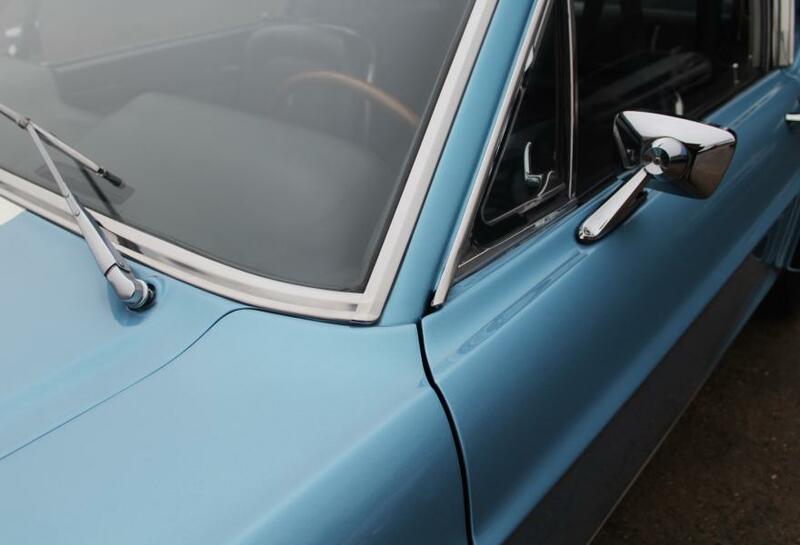 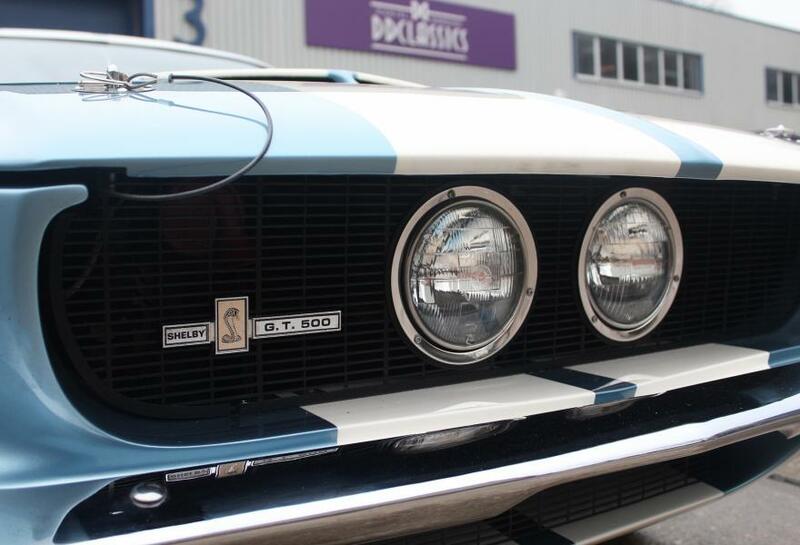 Refinished in its original colour scheme of Brittany Blue with contrasting White stripes, just 102 examples were originally painted this colour. 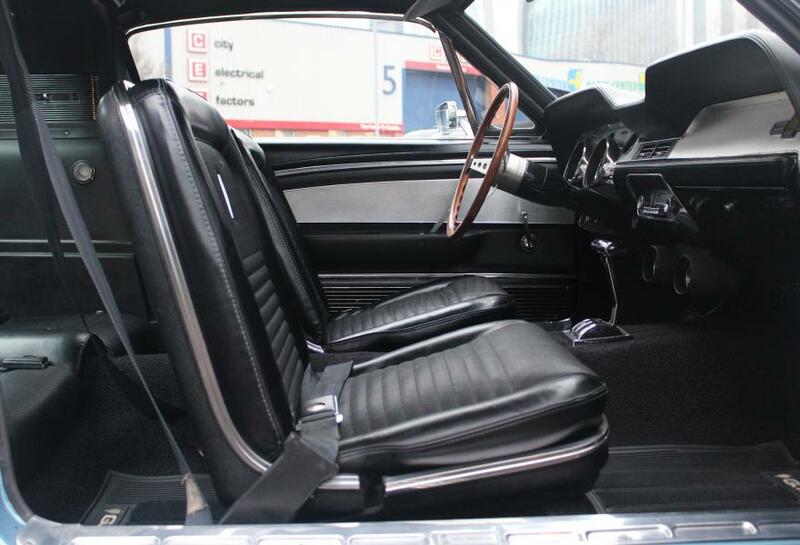 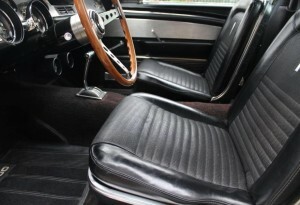 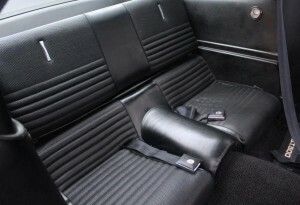 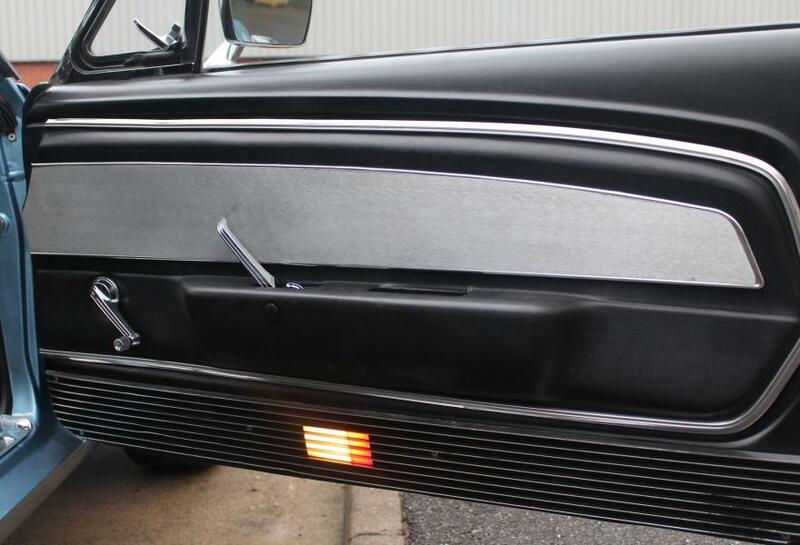 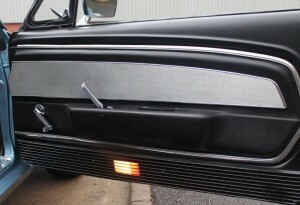 The exterior paintwork is complemented by a lovely Charcoal Black interior which remains in fabulous condition. 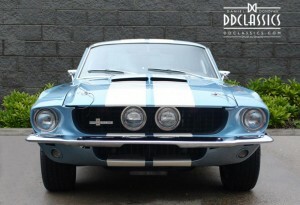 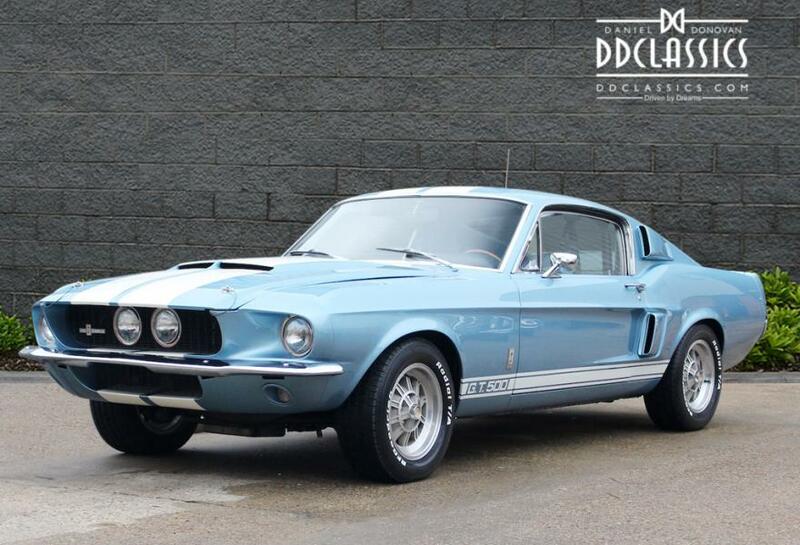 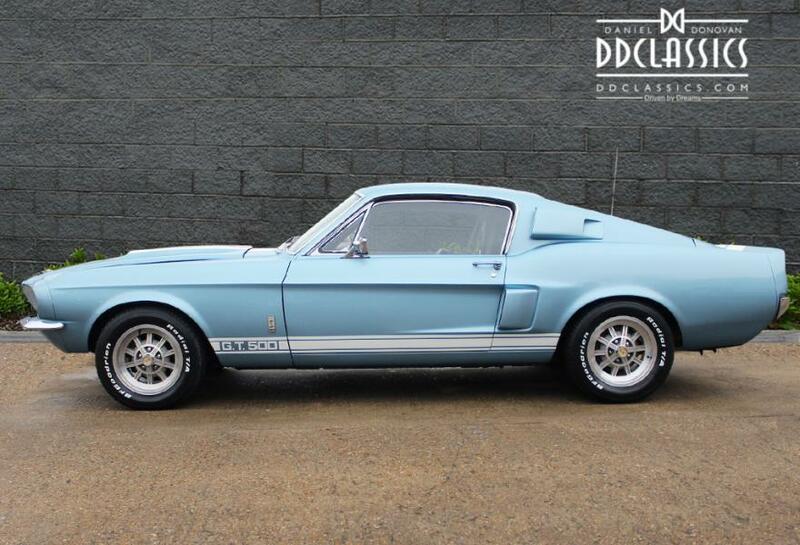 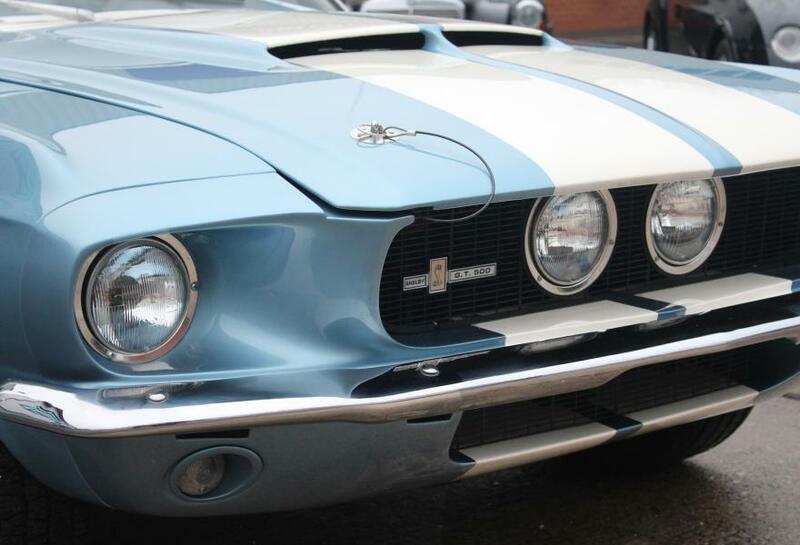 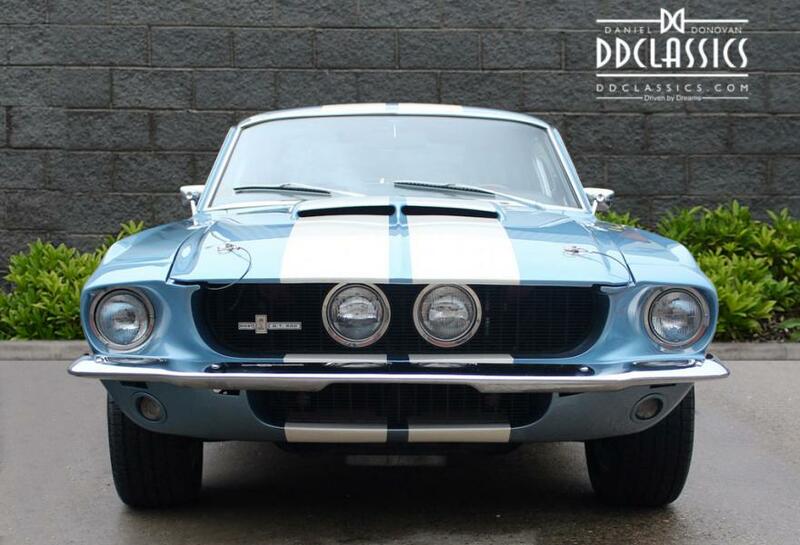 This classic Shelby GT 500 is available for viewing at the DD Classics Dealership in London, please call to book an appointment. Subscribe to the exclusive DD Classics newsletter!